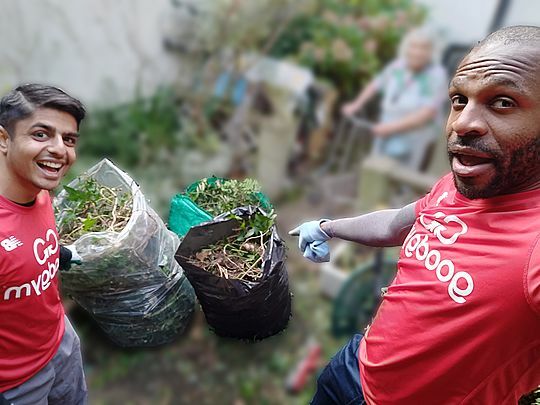 Since the GoodGym shindig many of us have been thinking a lot about missions, where 2 or more runners go to help an older person with a one-off practical task. We've done a huge number of missions over the last couple of years, going from 20 per month in early 2016 to 125 per month today. While this has been a fantastic achievement, we believe that there is potential to do a lot more. Gillian (our head of older people operations) has described how we are changing our definition of missions, I've been leading the technical development of the new process and wanted to give an update on where we are at. Location: control over where they run missions, ideally in the form of an exact location and distance radius of how far they want to run. Time: control over when they can run missions, such as hourly time slots and more opportunities to do missions during the week. We’ve also been working with referrers to get their thoughts. Given all this we’ve decided to build a prototype based on listing potential missions on the website. Instead of asking runners to tell us when they’re going to be available (i.e. the Missions Selector slots), we will present when the older person is available for the mission. Runners will be able to browse potential missions on the website, pick times on missions they want to run on, and if enough runners pick the same time the mission can go ahead. A screenshot showing how potential missions might be listed on the website. Runners will be able to read a description of the mission and see it’s location, and then pick the time they’d prefer to do it. We’ve been testing the prototype over the last few weeks, and we think this can meet need of runners and referrers alike. You can read more information about other features that we’re planning, including runners’ mission preferences, locations (postcode and run radius) and alerts. The prototype is available to play with, but please note that as a prototype it is buggy and incomplete. It is also completely public so be careful with your personal information! We believe that listing potential missions on the website will improve the process for runners and as a result we will be able to schedule and operate many more. We are starting to implement these changes on the website. We will be implementing these features bit by bit and rolling them out, but we won’t promote the new approach until we’re happy with it. Phase 1 - We will do some internal testing over the next couple of weeks in some areas, so you may see some potential mission listings appear in your area. Phase 2 - We will work with our referrer in one or two areas to publish missions in that area, but we will contact all mission runners in that area before we do so. 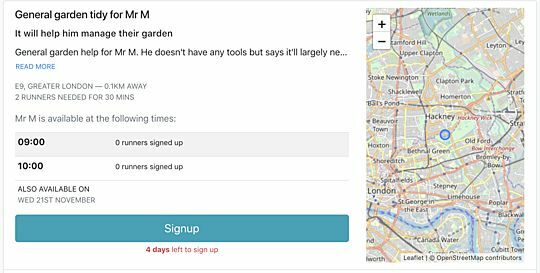 Please do have a play with the prototype, and provide any feedback to support@goodgym.org. Ivo, Gillian and I would like to give a massive shout out to Nicky who helped us running the workshops, getting feedback and support the user testing - go give her a cheer!